The Six Most Important Things You Can Do to Make Learning More Valuable. Increase learning transfer and the business impact of training in their organizations. After the event, Andy will be recording a podcast with us to answer any questions that you have after the session. 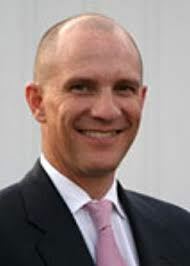 Andy Jefferson is the Chief Executive Officer of the 6Ds Company in Wilmington, Delaware, and a recognized expert in the transfer and application of corporate learning. Andy is an accomplished executive with a career spanning both operational and legal roles. Andy is co-author of the first and second editions of the highly acclaimed Six Disciplines of Breakthrough Learning: How to Turn Training and Development into Business Results (Pfeiffer, 2006, 2010) which was selected as one of the 50 Best Business Books for 2006 by Business Book Reviews.